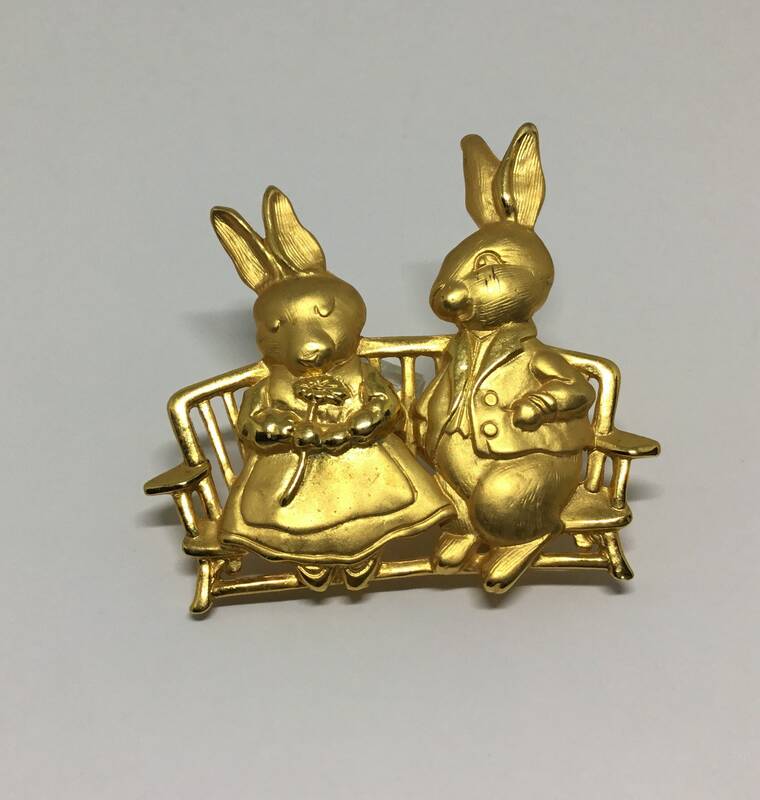 This is a vintage 1980s JJ (Jonette Jewelry) bunny couple on a bench. They are dressed up and the boy bunny has just given the bashful girl bunny a rose that she is holding. 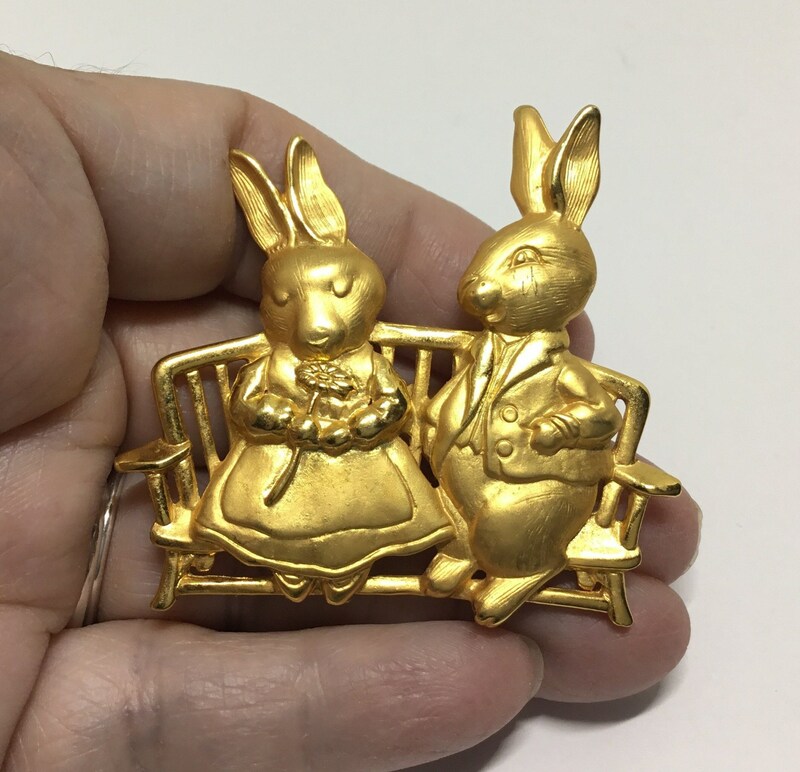 This bunny couple is definitely in love and on a date! 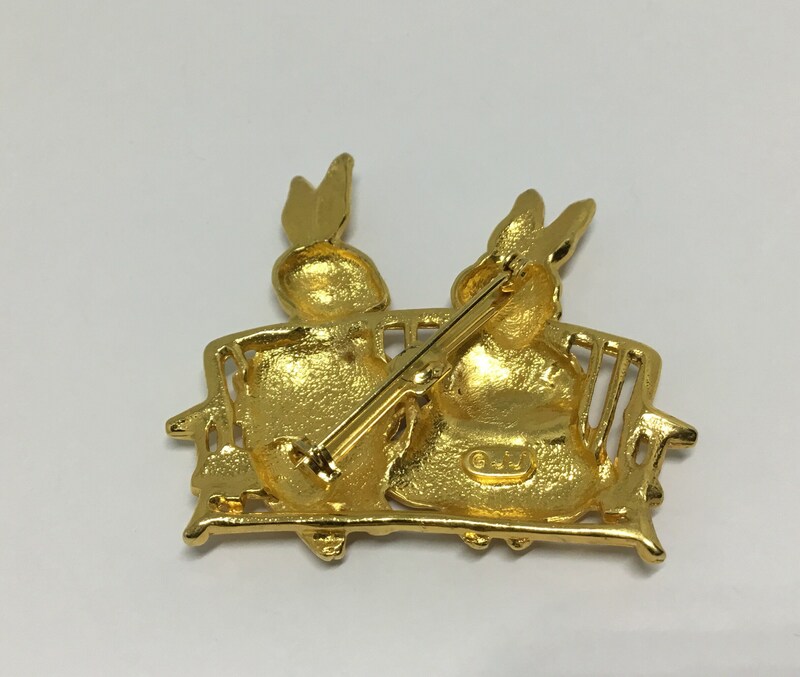 This brooch measures 2” x 2” and the pinback is straight and works smoothly and securely. 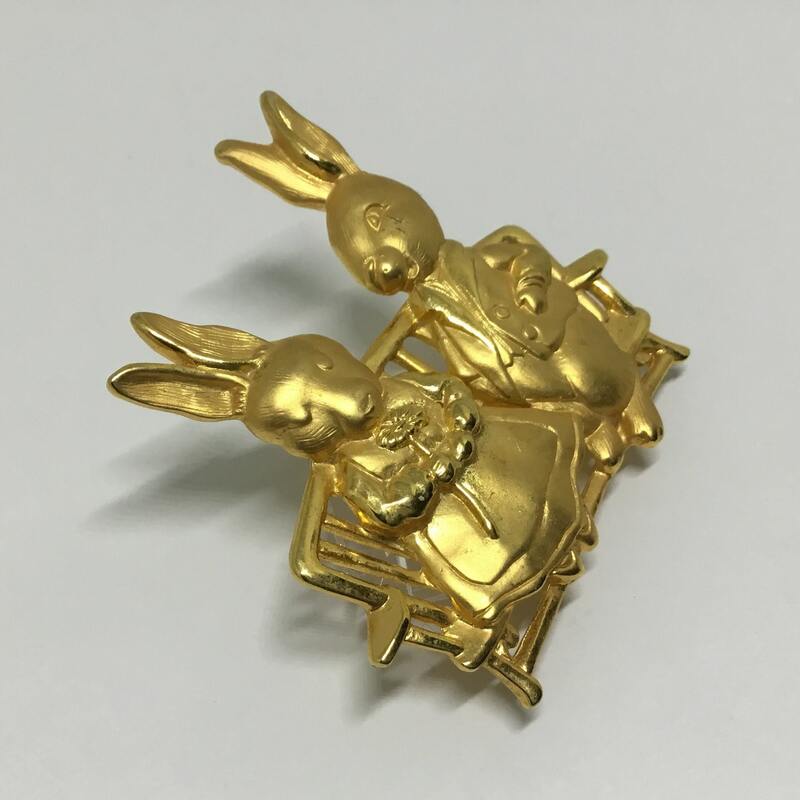 This whimsical brushed goldtone brooch is in excellent condition and ready to wear! 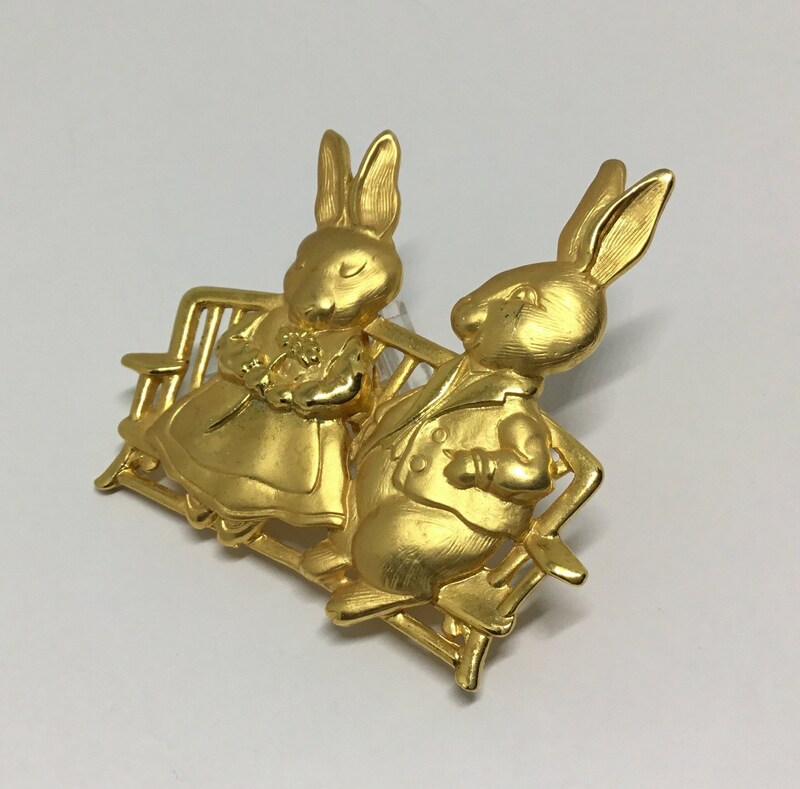 A cute brooch to wear in the Springtime and around Easter. Ready to wear or give as a gift!